The Quakers are clearly on to something. At their annual get-together this weekend they are reportedly thinking of dropping God from their “guidance to meetings”. The reason, said one of them, is because the term “makes some Quakers feel uncomfortable”. Atheists, according to a Birmingham University academic, comprise a rising 14% of professed Quakers, while a full 43% felt “unable to profess a belief in God”. They come to meetings for fellowship, rather than for higher guidance. The current climate is one of questioning and self-examination in an effort to find the right way forward. Before we can do this however, we have to be sure that we know who we are. Although British Quakers maybe clear individually as to their stage on a spiritual journey, as a religious community it seems that we are still seeking unity regarding our overall spiritual position. We are a Religious Society, in direct descent from those of the 17th century who realised that it is possible to have a direct communication with God; that we are not alone in our decision making, but that the Spirit is constantly on hand to guide and advise. If we insist on going it alone in our Quaker business, we may never find unity in anything and risk pulling our Yearly Meeting asunder. The Society today is criss-crossed with divisions and it appears that we now have no alternative but to ‘celebrate’ the diversity that, far from being a strength it is ritually affirmed to be, is in danger of destroying the unity which Friends have always regarded to be there, despite differences in their outward lives. Theists, non-Theists, atheists, Christians, pagans, Universalists, humanists, Friends who welcome this diversity, Friends who regret it, we sit in the same room and share the same silence. The theological diversity that has increasingly marked liberal Friends throughout the world over the last 120 years is the result of our growing discernment that unity is not dependent on someone’s notion of doctrinal orthodoxy. That’s a liberating experience – and a humbling one! It has freed us up to think and rethink everything, to challenge ourselves and each other. There’s nothing incoherent about accepting that we don’t know it all, about living the questions rather than insisting that we have all the answers. It means recognising that Quakers are still seekers on a continuing journey, not finders at the end of the road. There’s no going back. In the latter account, Quakerism is a protective umbrella under which a variety of beliefs can be grown and fostered. Such Friends want diversity, but like their theist counterparts, never stop talking about belief. Thus, despite all appearances, we can see that the common ground between modelist and theistic camps is the centrality of belief in understanding the nature of religious community. Yet such tacit agreement is, I suggest, the root of the tensions and unease we have observed in Meetings. The crucial mistake made by the positions surveyed above is that all camps assume that the most significant elements of religious identity revolve around maintenance of ‘belief’. This gives the misleading impression that if only we could find the right hypothesis, the right settlement, the right form of words, all discord would vanish. Yet, attempts so far in this direction have been fruitless. The attempt to listen and include every shade of opinion has only magnified the sense of fracture in our Meetings. Why is this? Because Quakerism, like any other religious community, does not remain cohesive because of belief. Something much deeper draws religious communities together; the notion of a shared story. 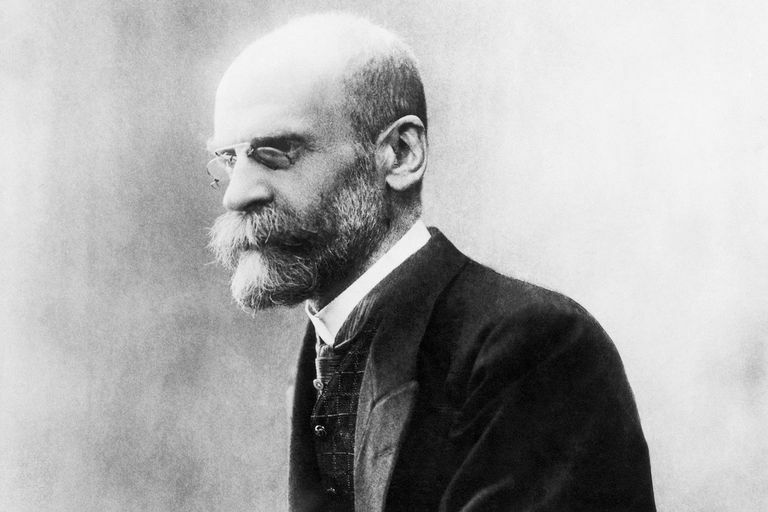 In 1912, the French Sociologist Emile Durkheim published his seminal work, The Elementary Forms of Religious Life. The study’s compelling attempts to categorise the essential structure and function of ‘religion’ across human culture still provides a compelling framework for contemporary social theorists and anthropologists. What is perhaps less appreciated is the extent to which this text provides a snapshot of the ways in which the Western secular intelligentsia viewed religious phenomena at the beginning of the last century. A central element of Durkheim’s picture was the view that religious communities sprung primarily from beliefs about the status of holy and ordinary things. If we want to understand religious institutions and practices, it follows that we must first understand the claims which animate them. As Durkheim summarises this position: ‘[a] religion is a unified system of beliefs and practices relative to sacred things, that is to say, things set apart and forbidden — beliefs and practices which unite into one single moral community called a Church, all those who adhere to them.’ According to this account, religious communities are ‘bound together by their common beliefs’ externally expressed through shared rites. While Durkheim understood that in most cases religious life consists of a diversity of ceremonies, taboos, and symbols, such structures are always derivative from an initial faith. The condensation of symbols in the Eucharist is staggering in its range and depth. The white circle of bread encompasses symbolically the cosmos, the whole history of the Church and more, since it goes from the bread oﬀering of Melchisidech, to Calvary and the Mass. It unites the body of each worshipper to the body of the faithful. In this compass it expresses themes of atonement, nourishment, and renewal. We should try to think of cosmology as a set of categories that are in use. It is like lenses which bring into focus and make bearable the manifold challenge of experience. It is not a hard carapace which the tortoise has to carry for ever, but something very ﬂexible and easily disjointed. Spare parts can be ﬁtted and adjustments made without much trouble. Occasionally a major overhaul is necessary to bring the obsolete set of views into focus with new times and new company. This is conversion. So, the question for contemporary British Quakers is not, ‘what do we believe’? But, rather, ‘what are the foundational words, images and stories that bind us together’? In Douglas’ terms, we should ask, what is our cosmology? While such a carapace cannot be easily described (just as it would be hard for a fish to describe water), we can begin the process of articulation by being attentive to the words and symbols in our Quaker tradition. This process (as Douglas’ own comments imply) is not about pickling Quaker identity into any permanent configuration but is about starting with the rich bed of resources which are implicit in the Quaker way of seeing, speaking, and relating. Think of these distinctive markers of Quaker identity (our words for God and social action, for instance) as miniature maps, which induct us into a particular interpretation of the world. Living out this interpretation is more important than a series of abstract questions about God. A satisfactory vision of God is never going to come about by adopting some over-arching theory or belief. But a deep coherence may arise if we become attentive to the language and stories Quakerism uses to illustrate (perhaps we should say picture) what God is for us. This process has many dimensions, but the most crucial one it seems to me, is about recovering a sense that our words and stories come from somewhere and have the capacity to lead us somewhere else. It is about saying, ‘I am a Quaker because this shared story calls to the very depth of my life—it fits the pieces of experience together, it shapes, it heals, it clarifies’. Viewing our present Quaker condition from this cosmological point of view can be challenging for a great many Friends occupying different places on the so-called spectrum, not least because it challenges the language of both belief and or belief-diversity as central to Quakerism. For non-theist and Universalist Friends, this perspective may seem troubling because it implies a robust recovery of some shared Quaker story. Might that exclude some people and alienate others? Not necessarily, although it might generate some hard questions which in turn force us to say what we are. Let’s be clear what it is we are talking about here. Make no bones about it, a shared story requires a shared language and that language, is, for the most part, Christian. So many of our fundamental words and images are emergent properties from the New Testament story. The Quaker story cannot be fully appreciated without this context. This is not in itself excluding of Universalist or non-theist Quakers, but it should raise thorny questions for those Friends who may be actively hostile to the centrality of Christian stories or language within Quakerism. What then binds such Friends to the lives of other Friends and to the Quaker tale? What is the centre of their shared Quaker life? Does the following Advice still speak to such Friends? Interestingly, Fell or Fox don’t say ditch the story (they use the language of the Scriptures), but neither do they say merely copy the story. Quakerism is not some hollow re-enactment fundamentalism. They say live the story, love it, embrace it. Let your manner of life follow from this. In this highly practical mode, the religious life isn’t primarily about believing things (if by belief we mean assenting intellectually to this or that proposition or statement). It isn’t even about protecting belief, so we don’t step on people’s toes. It is about letting the symbols of the shared story into one’s life, trusting that they will deliver their ‘fruit’, in meaning, in purpose, in depth. Belief of all kinds might follow later from this kind of narrative assent, but that isn’t the most important thing about the concept of a shared Quaker story. What matters the most is the ability of Friends to see and hear one another in ways which are rooted and shared. We must get beyond personal models and get into the habit of sitting under a more expansive canopy. This is a far richer starting-point than the one offered by some belief-focused Quaker Theists, or indeed some self-identified Non-Theists. It is not ‘theism’ or belief pluralism we need but a fresh and lively appreciation of the narratives that help us ‘be Quaker’. This is about Quaker literacy and not Quaker literalism. To non-theists and universalists, I would say, don’t simply dismiss, translate, or minimize the Christian stories and words that sit behind our Book of Discipline. Sit with them, test them, speak them, pull them apart, but don’t ignore them. Let them impinge your imagination, your heart, your thoughts. Let them work their alchemy in you, generating new ways of seeing and knowing. To self-identified Quaker Theists, I would say, don’t reduce Quakerism to ‘transcendence’ or the defense of God- language. Realize that we are invited into a whole cosmology, a living way of knowing and experiencing. We cannot argue away difference, but we can find unity if we sit on the same symbolic ground. If British Quakerism is to be more than a storehouse of competing beliefs, or a therapeutic group on a Sunday morning, we must get beyond belief and start telling the Quaker story together. Kevin Redfern, ‘Doing Our Quaker Business’, in Searching the Depths: Essays in Search of Quaker Identity, (London: Quaker Home Service, 1998), p. 77. Redfern, ‘Doing Our Quaker Business’, in Searching the Depths: Essays in Search of Quaker Identity, (London: Quaker Home Service, 1998), p. 83. Guiton, A Man That Looks Through Glass, p. 2. Guiton, A Man That Looks Through Glass, p. 15. I hope next time I will be quoted correctly, as also the title of my book. It’s taken from a poem by George Herbert and Ben’s substitution of ‘through’ for ‘on’ is to distort Herbert’s meaning. I leave it to readers to decide if Ben’s allusions to this passage do justice to the position I take here. A fuller exposition of my views in this regard may be found at p. 57 of A Man that Looks on Glass. I go on to say that without this balance between belief, faith and social action we lose any sense of acting to fulfil God’s purpose in the world and are instead focused on our own purposes, content to go forward in our own strength. So rather than pin everything on an abstract concept of ‘belief’, as Ben suggests I do, I talk instead about the different kinds of belief in relation to faith and experience, and how we understand what we experience and what we do – for example in our Business Meetings. There is nothing ‘reductive’ about this as Ben alleges. Indeed, without this, what is the Society (which Evelyn Underhill called “this unique experiment in corporate mysticism”) for? What will draw people to it? Surely not Ben’s cosmological appreciation of narratives that help us ‘be Quaker’, for taken on their own they beg too many questions. As alternatives to our traditional beliefs they will be far too idiosyncratic, too esoteric and possibly too narcissistic to provide the basis for the continuance of the Society in any form we are familiar with – and in any case are not themselves wholly devoid of ‘belief’. They may provide a theological rationale for the author of “Will we welcome Jesus back?” (The Friend, 1st June, p. 7) who wrote of discipleship and the man Jesus while denying the Christ (and with that any suggestion of transcendent grace). But it won’t do anything to check what some non-theists now enthusiastically refer to as ‘the direction of travel’. 4.	the more people we admit to membership whose first loyalty is to humanist values, the more people holding such views will be admitted. As American Friend Patricia Loring has said “the consequence of having no standard for membership is that the Meeting conforms to the vision of those it has admitted”. The present trend towards total inclusivity, or to use the new phrase, ‘radical hospitality’, almost guarantees this result. Ben also attributes to me the view that belief in something called ‘God’ should serve as a test of membership. But anyone who has read my books should know that my views on this are rather more nuanced. As Friends we are reluctant to impose credal barriers to membership, and indeed to do so would be very difficult today when we have re-defined the meaning of ‘credal’ and hold so few credal positions in common. So for this reason I have suggested that a minimalist criterion for membership might point not to a creed or an already established belief but to no more than an attitude of openness to no more than the possibility of transcendence (as well as immanence) – transcendence in the Robert Foxcroft sense quoted above – without which, it appears to me, the whole religious enterprise is meaningless. Such a criterion would not exclude anyone who wished to worship with us as Attenders, but would prevent Sea of Faith ideologues, who see themselves as belonging to a movement, from having an undue influence or control over our affairs. humanist-nontheist who is ideologically closed to any such possibility. With regard to the article by Simon Jenkins, it doesn’t surprise me that some have called it “a pretty positive write-up for Friends” – that’s just a symptom of where we are. Others have claimed that Simon Jenkins doesn’t have a very deep understanding of Quakerism and have tried to plug the gaps or provide a few nuances by stressing that it’s all about ‘language’. That’s the position Paul Parker took in his interview with Radio 4 – you could almost call it the official line – but personally I don’t wear it. Simon Jenkins, one of the few journalists I admire, would not have come to this view of things if the stage had not been set for him already. Thanks Derek for this very detailed response. I hope we have the opportunity sometime soon of discussing these issues in detail. I will endevour in future posts to be more careful in summarizing your position. I think the difference between us might still be the following: I think story, narrative, and symbol are more primary than the propositional beliefs we might generate from them. I suggest that Friends need to recover a sense of this rich soil before we start talking about people ‘believing’ the right or wrong thing. I’ve come to a powerful appreciation of this insight by talking to Catholic students and colleagues. “Garden variety Catholics” spend very little time worrying about some of the metaphysical/theological stuff you and I worry about, because they just themselves be ‘in the story’. There seem to be something in that. It is not enough (at least in my view) to posit an experience of grace, unless we have a story (a map) that helps us to locate and describe this experience. Where I think we do agree (and I think we profoundly) is that our common map as Quakers is Jesus-shaped. Thanks again for your comments. A watch is to be kept (throughout the whole body, and in every heart) for the preserving of it [unity], so far as it is brought forth, that the enemy, by no device or subtlety, cause disunion or difference in any respect, wherein there was once a true unity and oneness. For the enemy will watch to divide; and if he be not watched against, in that which is able to discover and keep him out, by some device or other he will take his advantage to make a rent (in those that are not watchful), from the pure truth and unity of life in the body. For he that in the least thing rents from the body (in any respect or particular which was brought forth by the life), he in that respect hearkens to another spirit, even the dividing spirit, and by its instigation rents from the life itself, and so doth not keep his habitation, nor his unity, with that which abides in its habituation (Penington, II, 371). Thank you, Ben. Just curious: when you say that your Catholic friends don’t worry about the theological/metaphysical stuff that we’re interested in, isn’t that because the ordinary (garden variety) Catholic takes Church doctrine for granted? They believe because to believe is part of being an ‘ordinary Catholic’. It can’t be that they’ve somehow ventured ‘beyond belief’. I’m not sure that that’s even possible and at the same time not to lose one’s faith. Unlike the Religious Society of Friends, the Catholic Church is a vast organisation, like one of Milton’s huge angels with numerous wings and limbs. The liturgy is rich in symbolism, the buildings ornate and crammed with artefacts that each tell a story. It’s true that the average Catholic can respond to all of this without delving too deeply into the underlying theology; so how will it work for Friends with their simple rituals and spartan meeting houses once we have ventured ‘beyond belief’? Exactly what story, narrative or symbolism are you suggesting will remain once our core beliefs have been stripped away? What in our case are the symbols that ‘operated prior to belief’? Your garden variety Catholic can leave theology to the theologians, safe and even smug in the knowledge that the Catholic Church has some of the best theologians thinking and writing today, theologians who are certainly not afraid of expressing ‘propositional beliefs’. I’m currently reading Edward Feser on Aristotle’s proof for the existence of God. As Crocodile Dundee might have said, “Now there’s a propositional belief!” But although interesting, that kind of theology is not (I hope) what I’m concerned about in A Man that Looks on Glass. My primary aim there was not to justify a propositional belief or belief system but to dismantle certain barriers to faith in the real presence of the Spirit which were being presented (wrongly) as insurmountable. When you say “it is not enough . . . to posit an experience of grace, unless we have a story (a map) that helps us to locate and describe this experience” what exactly do you mean? Don’t we have this already in the whole Christian/Quaker experience – narrative, map or whatever? Or am I missing something? And when we look at this experience, this map, don’t we see any outline, any landmark, of belief at all? In talking about life ‘beyond belief’ are you sure you’re not simply making it easier for those who actively campaign against our core Quaker beliefs to make further inroads into our Society, thus ignoring Patricia Loring’s wise advice as quoted in my previous response? Why do I believe? I believe because I am led to believe by the Holy Spirit, the Inward Light, the Christ which Jesus promised would be with us always. Thank you warmly Derek for these follow up remarks. There’s some probing questions here. “What in our case are the symbols that ‘operated prior to belief’”? I would say the symbols that come prior to belief are embedded in our Quaker stories- the stories of how got here, and the words and images that sustain us as we go forward. The language of ‘Spirit’, ‘Light’, ‘Peace’ leads us into a space where belief might come but I think they are prior to belief (at least in a theoretical or systematic sense). Our practice of silent waiting equally encodes a primary set of symbols or cosmology (it forms us into a waiting, desiring people). It gives us the right posture, so truth can spring. That’s certainly what Fox seems to have found. Maybe I can best illustrate my point through a bit of biography. When I first came to Friends, I don’t think I started believing in Quakerism. I grew into Quaker language, Quaker ways of doing. This process of development led to beliefs (in particular a return to Christian language) but it didn’t start like that for me. Things came together when I began to see how our Quaker words and stories fit together into a beautiful whole. When I talk about maps that’s part of what I mean. Lots of Friends and attenders are inducted into our particular way of speaking (theology through images and stories) but find it very difficult to put the pieces together. That makes my stance sound a little like Blair/Clinton triangulation politics! I hope my reflex is a bit more principled. I certainly don’t take up this vantage point because I want to make things easier or harder for people to make ‘inroads into our Society’. Rather, I’d like more Friends discover the richness of the Quaker Way and think our stories are the best way into that richness. I notice that while the Anglican Communion have their Articles (their core beliefs) they are deeply divided on diverse issues. I would suggest that the deep reason for their division is not because they don’t have criteria for belief but because they have no shared story. I sense that this is the deep barrier for many Friends, but there is a hunger in our Society to learn and discover new depths. This gives me a great deal of hope. I warmly appreciate your declaration of faith, Friend. I hope more Friends can hear the depth of the words you have spoken. 1. These stories arose as the direct result of God-initiated encounters with Jesus Christ. 2. These stories are under girded by a profound faith in and belief in the light of Christ. 3. These stories portray the consequences of living under the guidance of Christ’s light. Ben, thank you for that explanation – I think I now have a much clearer idea where you’re coming from. If it were possible to gain enough support within the membership to move the focus substantially from theology with its propositional beliefs to “Quaker story, narrative and symbolism” I’m sure that in itself would do a lot of good. If vigorously pursued it would give an implicit and possibly useful vague direction to the experience of ‘being Quaker’ . But as the other responders have said, how do we do this without having some foundational beliefs in the first place? How do we move to ‘beyond belief’ with a ‘story’ that is so bound up with such beliefs as the Inward Light, the Christ, the Cross, convincement etc. Do we start desperately imposing ‘metaphorical’ status on all of these elements – only then to start stripping away the metaphor to reveal the underlying reality – because, as I think most literary theorists would agree, a metaphor has to be a metaphor for something, it has to be in some sense ‘reality depicting’ – otherwise it is not a metaphor but a story in the wrong sense – a fiction which may still guide practice for a time but will eventually be cast off as an irrelevance. My worry is that your ‘beyond belief’ approach, to be successful, requires at the very least a degree of openness to the transcendent > immanent Light that is ‘not us’, and unfortunately this is not forthcoming from the humanist, secular and, in some cases, militantly atheist wing of the Society – which is why I proposed it as a minimal criterion for membership. Without this minimum, the soil cannot be prepared in which shared beliefs can take root. Your account of the process by which you personally came to be ‘convinced’ might be described as a kind of ‘osmosis’ but can you really generalise from that to the Society as a whole? And were you not yourself open to the possibility of transcendent grace to start with? My fear is that in the present climate an approach which relies on osmosis alone is tantamount to leaving things as they are, with the consequence Patricia Loring has predicted. With a Religious Society which has become so sensitive to the least quiver of change in society at large, perhaps we will have to wait for the fashion to turn in our direction again. And that may be starting to happen. In higher education, conversion to theism (I am told) is now more common at postgraduate level and conversion to non-theism more common at bachelor level and below. This could be significant for the future – if we don’t first shoot ourselves in the foot! We now have a society made up almost entirely of those who have come to Quakers in adulthood. They have missed out on the ‘Sunday school’, Junior Meeting or first day school experience of listening to Quaker stories. Significantly these are also the people who are now taking the children’s classes in Meetings so that our children are often missing out on the understanding of the essence of Quakerism which Friends previously gathered from listening to those stories and traditions. I was not taught ‘Quakerism’ but the whole feeling generated from listening and thinking one’s self to be in that tradition rubbed off. Thanks Mary. I think what you say is really crucial. It explains in part why we are where we are. Perhaps what we need is a greater focus on teaching ministry within Friends (a process of in-reach and out-reach) which enables us to articulate our shared stories.